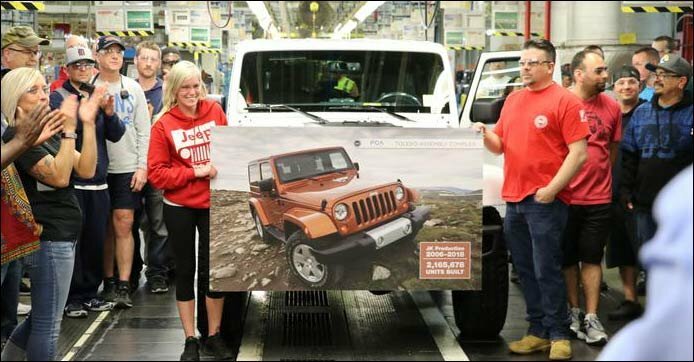 The top-selling Jeeps in the United States for 2018 were, in order, the Wrangler, Cherokee, and Grand Cherokee. The race for the top selling Jeep was almost evenly split between the Wrangler and Cherokee, 240,032 to 239,437, but we expect the Cherokee to win 2019. Why? Because the Cherokee gained from a redesign, which should continue to help it in 2019, while the Wrangler JK has ended production, leaving no “value Wrangler.” In its place will be the JL, whose high prices should limit sales, and the Gladiator pickup. Overall, Jeep will likely be better off selling fewer but more profitable Wranglers, as long as no competitor comes in to take its place (as is often threatened); and the Gladiator will stake out new ground, for the most part. The Grand Cherokee, which is likely the second most profitable Jeep, came in third at 224,908, a little down from last year; while the new Compass more than doubled its 2018 sales, ending at a respectable 171,167. When FCA realigns the Jefferson Avenue plant, though, Grand Cherokee sales will shoot up—because they will include the three-row version currently called the Dodge Durango (65,947 sales in 2018, #74 in the top sellers list). All these Jeeps beat every single Fiat Chrysler vehicle aside from Ram pickups (536,980 and the third best selling vehicle in America). The only Jeep to fail to make the top was the Renegade, which is imported from Italy. Jeep was the star of FCA, perhaps aside from Ram pickups, but it wasn’t a standout among the entire industry. The #1 and #2 best sellers were Ford and Chevy pickups; Toyota, Nissan, Honda, Chevrolet, and Ford all had better-selling crossovers, with the Toyota RAV4’s 427,170 sales nearly doubling Jeep’s best. The low-priced Nissan Rogue, rocketed to the top ten by the Star Wars movie, also topped 400,000 and came in at #5 overall. Next was the Honda CR-V. Indeed, in the top 15, Toyota had two cars, a pickup, and two crossovers, while FCA had the Ram (#3) and Wrangler (#15). In the top twenty, it was one Ram and three Jeeps. The top Dodge came in at #28 (Caravan), the top Chrysler at #40 (Pacifica). With critics saying that sedans are a thing of the past, note that the Civic, Accord, Camry, and Corolla all made the top 15, and the Malibu was #31. For what it’s worth, Jeep was by far the best-selling “true SUV”—the crossovers that sold better were not especially off-road-worthy. You have to look pretty far down the list to find another off-road-capable SUV or, for that matter, any Range Rover. Alas, poor Chrysler 300—as its fate was being decided upon, it came out at #98, below the Lexus ES or Toyota Prius, with fewer than 50,000 sales. It would be surprising to see the 300 return for 2021, though it did well for its segment, easily beating the Maxima, Passat, Avalon, Taurus, and Genesis. Incidentally, the best selling Fiat was the 500, at #231, with under 5,400 sales for the year—down 58%. That put it below the BMW i3 electric car and the Beetle convertible, with half the sales of the Alfa Romeo Giulia. Based on the above information, I think the used market for JK and JKU models of the Wrangler will remain very hot sellers. Many people seem to be buying the used vehicles since they are more affordable and within their price range. If you look at the prices for a new JL, most are priced above $50,000 which means the household income needs to be close to $100,000 or better so you can make one or two vehicle payments and a house or rent payments. OUCH! 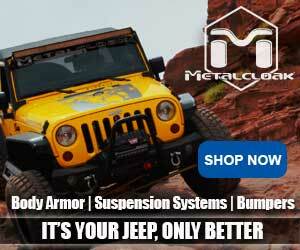 Maybe FCA will rethink the elimination of the lower priced JK units and keep them coming. Otherwise, they may kill off the future for the Jeep sales. Not everyone is willing to take an expensive Jeep off-road (I know my wife won’t let me take her Grand Cherokee off ).